Draft: 2013, Pittsburgh Pirates, 10th rd. Last name is pronounced Carl. In his first season in the Braves organization, made 53 appearances out of the bullpen and compiled a 4-1 record, one save, and a 2.86 ERA (20 ER/63.0 IP)…Also spent time on the 10-day disabled list with right shoulder inflammation, missing 25 games from 8/7-9/1 ... Made his first Opening Day roster…Took his only loss of the season in his Braves debut, allowing one run over 2.0 innings on 3/30 vs. PHI in a 5-4, 11-inning loss ... Over his next 19 games, compiled a 0.38 ERA (1 ER/24.0 IP)…Over his final 33 games, pitched to a 4.38 ERA (18 ER/37.0 IP) ... Collected his first career save in his final appearance of the season, 9/23 vs. PHI…Struck out two over a perfect inning in a 2-1 win ... Went more than 1.0 inning in 17 of his 53 appearances, including a personal-best 3.1 innings to earn his first career win, 4/3 vs. WSH ... Held both right-handed (31-for-140) and left-handed (19-for-86) hitters to a .221 average… Righties hit both the home runs he allowed ... Limited the opposition to a .185 (12-for-65) average with runners in scoring position ... Compiled a 1.89 ERA (7 ER/33.1 IP) in 28 games at SunTrust Park. Spent the majority of the season with Colorado's Triple-A club at Albuquerque, while also making his major league debut during the first of two stints with the Rockies.. 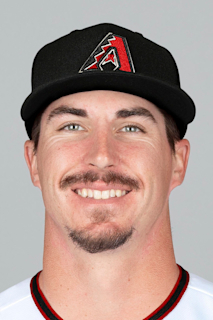 Opened the season with two relief appearances for Albuquerque before Colorado recalled him, 4/14...Made his major league debut on 4/14 at SF and worked a scoreless eighth inning… Fanned Connor Gillaspie for his first career strikeout...Optioned back to Triple-A on 4/16…Returned to the majors on 9/5 and made two more appearances, allowing three runs and six hits in 3.0 combined innings. ..Made three starts with the Isotopes, going 0-1 with a 6.23 ERA (6 ER/8.2 IP)…Was 3-4 with a save and a 5.23 ERA (31 ER/53.1 IP) in 33 games out of the Triple-A bullpen... Recorded his second career save on 8/31 vs. Reno and his first since 8/1/13 while playing for Single-A Jamestown. Spent entire season at Triple-A Albuquerque, going 5-8 with a 5.42 ERA in 27 games, 19 starts...At home, went 5-2 with a 4.05 ERA (53.1 IP, 24 ER) in 11 games, nine starts, but did not win on the road in six decisions, posting a 6.67 ERA (58.0 IP, 43 ER) in 16 games, 10 starts...Went 4-8 with a 5.70 ERA (96.1 IP, 61 ER) as a starter … 1-0 with a 3.60 ERA (15.0 IP, 6 ER) in relief...Was 3-8 with a 6.16 ERA (83.1 IP, 57 ER) in 16 starts prior to the All-Star break … on the 7-day disabled list from June 5-15 … 2-0 with a 3.21 ERA (28.0 IP, 10 ER) in 11 games, three starts the second half...In August, was 1-0 with a 2.70 ERA (20.0 IP, 6 ER), pitching in seven games, including three starts...Was 1-0 with a 4.19 ERA (19.1 IP, 9 ER) in 10 Arizona Fall League appearances in 2016 for Salt River … did not allow an earned run over his first five outings (9.0 IP). April 21, 2019 Atlanta Braves optioned RHP Shane Carle to Gwinnett Stripers. April 20, 2019 Atlanta Braves recalled RHP Shane Carle from Gwinnett Stripers. April 18, 2019 Atlanta Braves optioned RHP Shane Carle to Gwinnett Stripers. April 16, 2019 Atlanta Braves recalled Shane Carle from Gwinnett Stripers. April 5, 2019 Atlanta Braves optioned Shane Carle to Gwinnett Stripers. September 1, 2018 Atlanta Braves activated RHP Shane Carle from the 10-day disabled list. August 28, 2018 Atlanta Braves sent RHP Shane Carle on a rehab assignment to Gwinnett Stripers. January 17, 2018 Pittsburgh Pirates traded RHP Shane Carle to Atlanta Braves. January 14, 2018 Pittsburgh Pirates designated RHP Shane Carle for assignment. January 4, 2018 Pittsburgh Pirates claimed RHP Shane Carle off waivers from Colorado Rockies. December 29, 2017 Colorado Rockies designated RHP Shane Carle for assignment. October 5, 2017 Colorado Rockies activated RHP Shane Carle. October 4, 2017 Colorado Rockies reassigned RHP Shane Carle to the minor leagues. September 5, 2017 Colorado Rockies recalled RHP Shane Carle from Albuquerque Isotopes. August 6, 2017 Colorado Rockies optioned RHP Shane Carle to Albuquerque Isotopes. August 5, 2017 Colorado Rockies recalled Shane Carle from Albuquerque Isotopes. April 17, 2017 Colorado Rockies optioned RHP Shane Carle to Albuquerque Isotopes. April 14, 2017 Colorado Rockies recalled Shane Carle from Albuquerque Isotopes. March 17, 2017 Colorado Rockies optioned RHP Shane Carle to Albuquerque Isotopes. November 18, 2016 Colorado Rockies selected the contract of Shane Carle from Albuquerque Isotopes. June 15, 2016 Albuquerque Isotopes activated RHP Shane Carle from the 7-day disabled list. June 5, 2016 Albuquerque Isotopes placed RHP Shane Carle on the 7-day disabled list. April 3, 2016 RHP Shane Carle assigned to Albuquerque Isotopes from Hartford Yard Goats. February 11, 2016 Colorado Rockies invited non-roster RHP Shane Carle to spring training. May 8, 2015 RHP Shane Carle assigned to New Britain Rock Cats from Albuquerque Isotopes. May 7, 2015 RHP Shane Carle assigned to Albuquerque Isotopes from New Britain Rock Cats. April 8, 2015 RHP Shane Carle assigned to New Britain Rock Cats. November 11, 2014 Colorado Rockies traded RHP Rob Scahill to Pittsburgh Pirates for RHP Shane Carle. July 10, 2014 RHP Shane Carle assigned to Bradenton Marauders from West Virginia Power. April 2, 2014 RHP Shane Carle assigned to West Virginia Power from Jamestown Jammers. September 12, 2013 Jamestown Jammers activated RHP Shane Carle from the 7-day disabled list. June 15, 2013 RHP Shane Carle assigned to Jamestown Jammers. June 14, 2013 Pittsburgh Pirates signed Shane Carle.